It’s morning, Yumi joins the others at the cafeteria as they read the Kadic News. They tell her that the journal’s super scoop is that Chris, the Subdigitals’ drummer, is coming to Kadic that very same day. She, like Jeremy, is sceptical, but Aelita tells them that he’s coming to see his uncle, which Jeremy rebukes, asking how she could possibly believe that. In the school hall, the principal announces a competition to welcome the musician and lets him have the floor. Chris says that he’s come not only to see his uncle, but also because his group decided to tour schools to find new talents to be the opening act for their next concert. An audition is organised for that afternoon in the gym. Odd is enthused by the news and returns to his room, turning it upside-down to find his demo CD, which ends up being in Kiwi’s drawer. He hopes to arrive before there’s a big queue, but finds himself disappointed as he joins the end of the long line leading out of the gym’s doors. 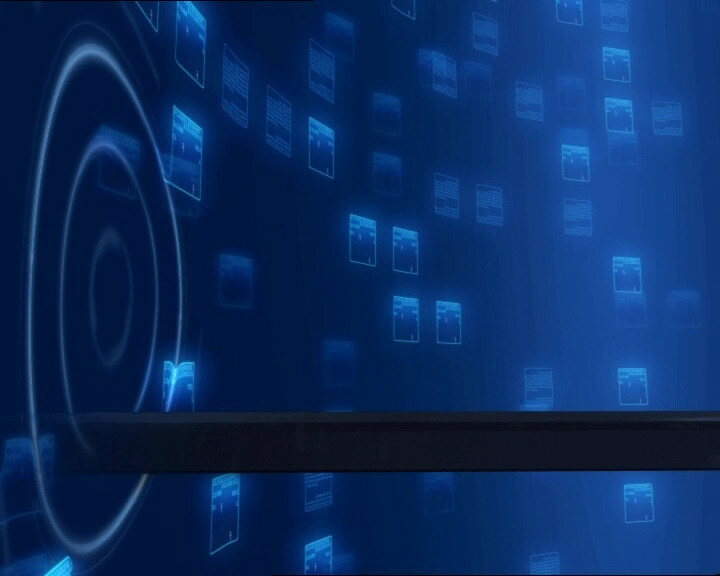 We also see Aelita in her room searching for her mix CD. However, she doesn’t have time to leave as Jeremy comes to find her to work on a new vessel thanks to the free time they have. Before she manages to utter a complete sentence, Jeremy notices the CD she is holding and states that she’d be wasting her time at the audition while they could be finding a way to fight XANA on the network, and that he needs her help. She then puts the CD in her pocket and tells him that she’ll come with him, making Jeremy smile triumphantly. Meanwhile, just in front of Odd, Sissi brags that she will be the chosen one and that she will become the best DJ of all time, which provokes Odd to comment on her alleged talent. Yumi and Ulrich mock Odd a little too. The audition goes on and the drummer has no luck, Sissi’s mix even creating such a frightful noise that it breaks a glass jug. Odd’s turn is next. 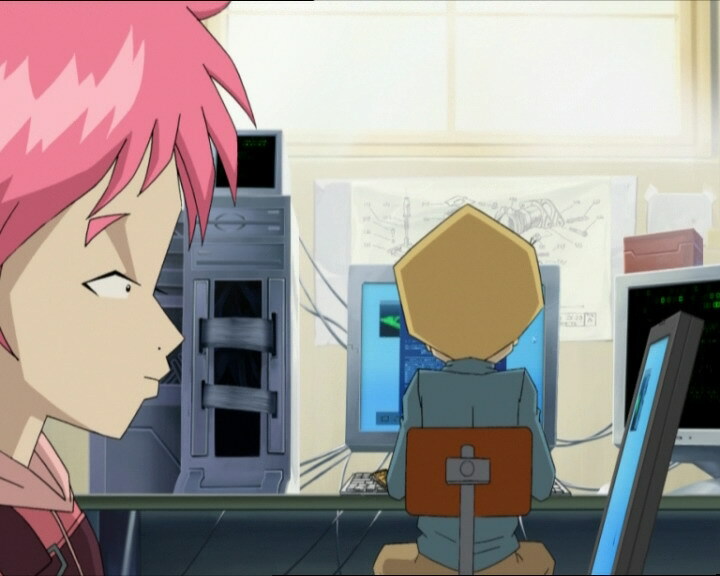 At that same moment, Aelita and Jeremy are in the boy’s room working on their computers to find a way to move between Lyoko and the network. That’s when Jeremy asks Aelita if she’s listening, seemingly lost in thought. He decides he doesn’t care anymore and turns back to his monologue on the research to be done. Odd has finished his mix but the result isn’t as good as he’d hoped, he is sent away like all the others. He’s really upset but not as much as Chris, who seems completely downhearted, not even managing to speak to his uncle. Back in Jeremy’s room, the boy continues to talk to himself to resolve his problem. When he turns to Aelita and sees her looking sad, he tells her that she can go and he can finish up on his own. She wastes no time in leaving, making Jeremy a little disappointed. In front of the front doors of the gym, Jim is talking with his nephew, who is depressed about not finding any new talent. Several girls then arrive to ask him questions or ask for an autograph. At the same moment, Aelita enters the gym where she sees nobody and realises that she has arrived too late, but her gaze falls on the mixing table. Chris is still in the grips of his admirers when he hears music coming from inside, the exact music he had been looking for. 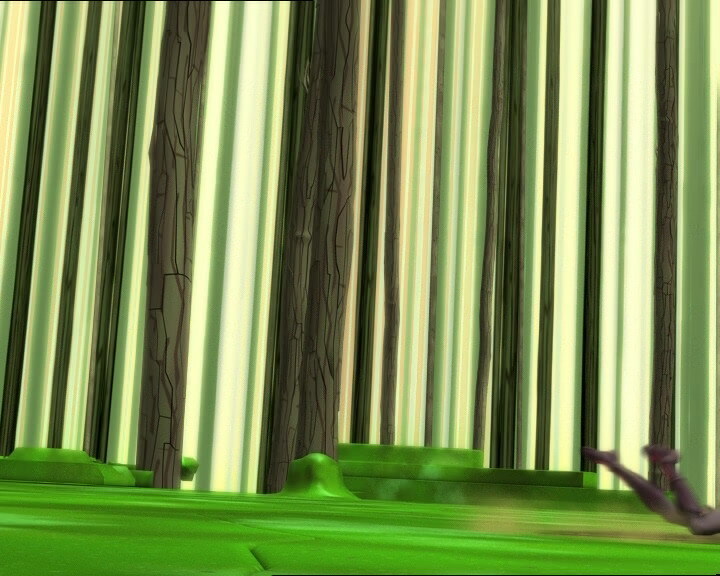 A tower is then activated in the Forest Sector. The Subdigitals musician enters the gym but doesn’t find anyone and turns to leave again. At that moment, smoke exits the turntable, a sign that XANA is on the attack. 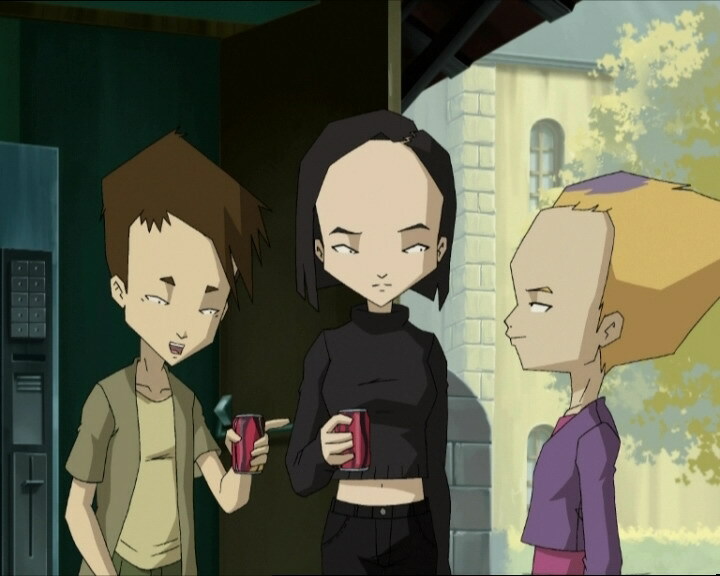 Aelita, Yumi and Ulrich are in front of the drinks machine listening to Odd talk about the possibility of him playing the opening act for the Subdigitals. Milly and Tamiya inform them that Chris found the person he was looking for, which provokes Odd to start going on about dreams of glory. He’s put down quickly when they say that nobody knows who this person is, not even Chris, because they played after the audition and he only heard the music. Aelita then snaps out of her morose state upon hearing the news and runs off. 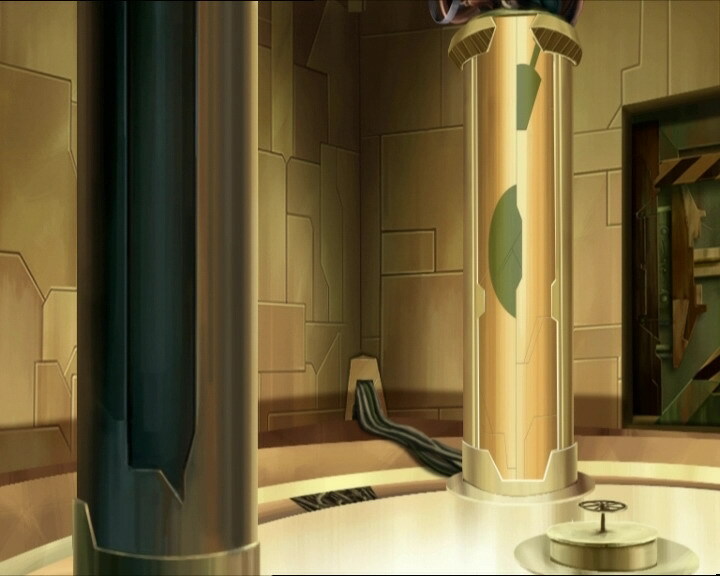 Back in Jeremy’s room, the Superscan detects the tower activation, and he warns the others who got to find Aelita. She is heading for the admin building and joyfully finds Chris on the way there, offering him her mix CD. However, he grabs her arm, his black glasses displaying the eye of XANA, then electric shocks her. In the playground, Milly and Tamiya cross paths with Chris who, much to their surprise, is carrying Aelita on his shoulder, unconscious. Yumi tries to contact Aelita with her phone but she doesn’t respond. Jeremy then joins and tells them that while they were working her thoughts were concentrated on the audition. Ulrich then understands why she left so quickly before, and they set off to find her. We see that Chris has brought Aelita through the sewers and is almost at the factory. Jeremy and Yumi are searching for Aelita and pass Milly and Tamiya, who are in a state of shock. Yumi asks if it could be because Sissi said something intelligent for once, but they tell them that it’s because Chris kidnapped Aelita. Yumi talks them out of calling the police by saying that it’s a rehearsal for a new Subdigitals music video, a science fiction clip with robots that invade the school. Then they leave, saying they have a role in the next scene. Jeremy informs Ulrich of the news over the phone. 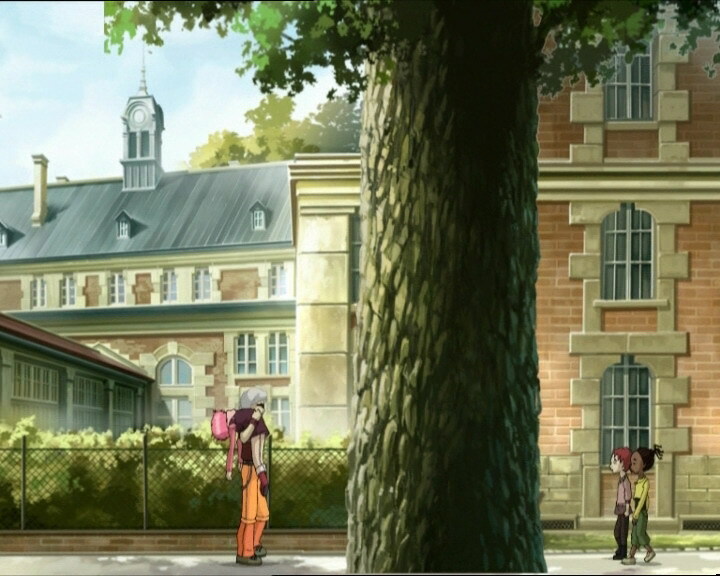 He and Odd are searching in the admin building, and they found Aelita’s CD. They see Chris talking with Jim and realise that he seems like he could be XANAfied. They then go to check by giving him Aelita’s CD, but don’t see the symbol of XANA in his eyes, proving that he’s not possessed. They then deduce that they have a polymorphic clone on their hands. At the factory, we see XANA’s spectre placing Aelita in a scanner. Jeremy and Yumi arrive at the same moment and discover that she’s being virtualised. She arrives in the Forest Sector where she’s welcomed by two Krabes and William. Jeremy calls Ulrich to tell him to stop searching for Aelita, as she’s already on Lyoko, while Ulrich tells him about the polymorphic clone. While he and Odd go into the passage in the park, they’re caught by Jim, accompanied by Chris. The teacher tells them that he has several questions to ask, and Chris especially wants to know who the CD Odd gave him belongs to. The teens respond that they need to go because Aelita is in danger, and Ulrich invites Jim and his nephew to come with them rather than going to the principal. 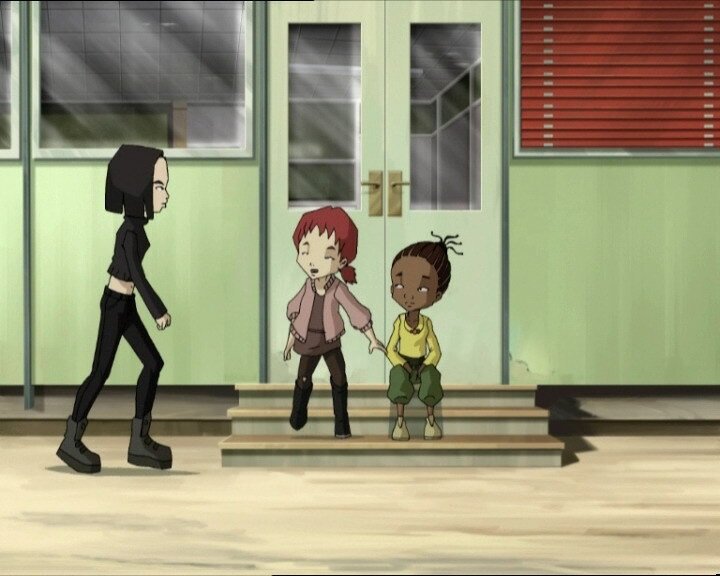 While waiting for them to arrive, Jeremy sends Yumi to Lyoko to lend a hand to Aelita, who isn’t faring well against William. She says that even though he’s possessed by XANA, he’s still a newbie on Lyoko. He orders two Krabes to attack the Japanese girl. Aelita takes advantage of the distraction to leave. William realises and asks the Krabes to the follow her, remaining alone with Yumi. She leaps into combat but still quickly asks Jeremy to program the Overwing. He says that the tower is near their position. 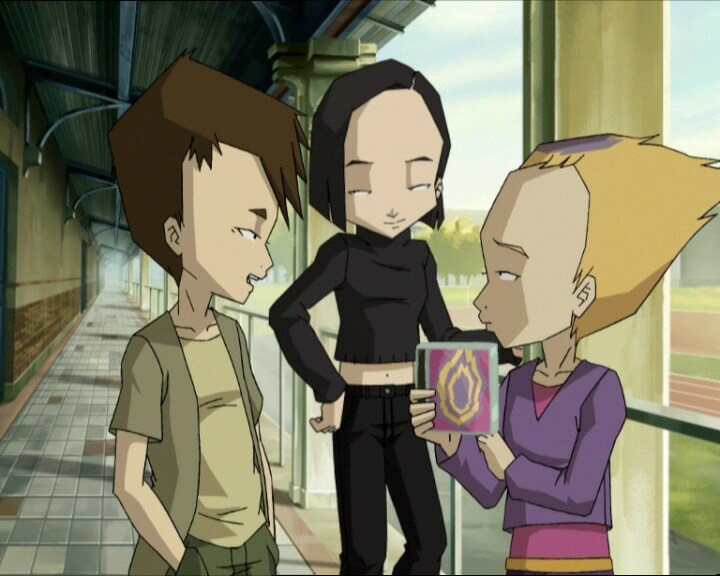 The combat then continues on Lyoko, XANA’s polymorphic clone materialising in the lab while Odd and Ulrich, accompanied by Jim and Chris, arrive at the factory. Aelita is followed by the two Krabes but manages to escape them by jumping a gap between two platforms. However, there is also a Krabe on the second platform, and she must continue running again. 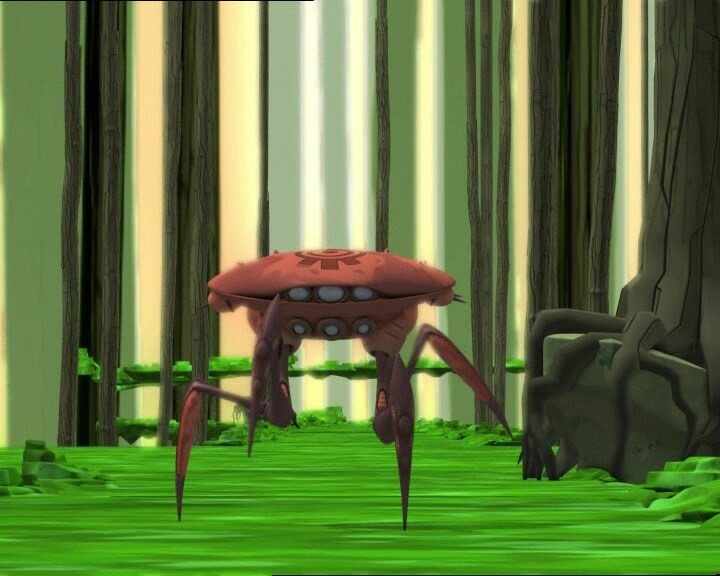 The polymorphic clone starts to attack Yumi, leaving Yumi to manage by herself on Lyoko. She still manages to hit William by controlling her fans with her telekinesis. Odd and Ulrich arrive in the lab where Jeremy is thrown to the floor by the clone, which still looks like Chris. The musician rushes at the spectre but is thrown back. Jim grabs it but it changes into smoke and reappears behind him. Jeremy then ask Odd and Ulrich to go to the scanners to help Aelita. She’s still dealing with two Krabes and trying to escape them by flying away using her wings, activating them with the star bracelet she is wearing, but she is hit by a laser. She grabs onto the edge of the platform but begins to slip and falls into the void before being caught by the Overwing, which Jeremy had just programmed. He then transfers Odd and Ulrich, so take care of the two Krabes as Aelita heads for the park. In the lab, Jim regains consciousness and resumes the fight, except that he chooses the wrong target and attacks the real Chris. The spectre then takes the teacher’s appearance. On Lyoko, Yumi is stil fighting with William, dodging most of his blows. At one moment, he manages to catch her with his smoke and devirtualise her with a swing of his sword. Ulrich then arrives to fight him, commenting that he’s not going about hitting on Yumi in the right way. Back in the lab, Chris comes to and attacks the spectre with a metal bar, but it passes right through it and hits his uncle instead. 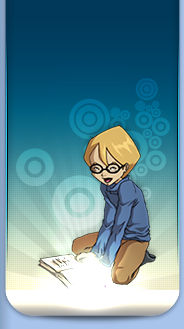 Jeremy then asks the Lyoko Warriors to hurry, or the Subdigitals will need a new drummer. Odd destroys a Krabe while Ulrich continues his fight against William, who calls in a Manta, which Odd then destroys. Aelita then makes it to the tower and deactivates it. William flees but Ulrich promises to fight him every time. To avoid explaining things to Jim, Jeremy launches a Return to the Past, after Chris asks him who Aelita is. Odd, Yumi and Ulrich find themselves once again in the queue for the audition, but this time, Odd says that he knows how to make his mix even better. As for Jeremy and Aelita, they’re once again spending their free afternoon working on the virtual vessel, when Chris enters the room and says that he’s looking for Aelita Stones. He tells her that her demo was really good and that he wants her to come with him. She refuses at first, but Jeremy tells her that it’s an offer she can’t refuse. She leaves with him, asking how he got her demo. He responds that one of her friends gave it to him (surely Jeremy). - Jeremy and Aelita start to work on the vessel that will journey into the network and its name will be given in episode 70 as the “Skidbladnir” or “Skid” for short. - First appearance of Chris Morales, the leader and drummer of the Subdigitals. - Third time that Yumi uses her telekinesis on her fans. - Jim is the uncle to the drummer and leader of the Subdigitals, Chris. - New allusion from Jim to his time as a forest ranger in Quebec! He also fought against a certain “Hurricane Windstorm” in Las Vegas... And he worked in the special forces. - Odd’s CD cover changes between the time when Yumi finds it and when Odd takes it. - The lines under Sissi’s eyes are missing when she listens to Chris speak at the audition. - Yumi, Ulrich, and Odd are virtualised with their new clothes even though they weren’t wearing them. - The lines under Nicolas’ eyes disappear when Sissi speaks about the event that she is going to run for Chris. - The doors to the gym by which Aelita entered were red, then become blue when Chris realises that he is too late. - Jeremy states that he’s tired of having to explain to Jim about the Supercomputer and the factory since his memory will just be erased afterwards. This is an allusion to the fact that with this episode, Jim has already discovered the factory 6 times! - New mention of a video game. This one is named: Executor 2! - First mention of the new name for the Subsonics: The Subdigitals! - Only time that a hero (Odd) is virtualised directly on top of a monster (a Krab). - The remix that Aelita made for the audition is the same from episode 33 “Final Mix”. - Aelita will be selected for an audition with the Subdigitals (episode 72 “Crash Course”) and will do the opening act for their concert (episode 89 “Music to Soothe the Savage Beast”). - This episode should have been aired on August 15th, 2007 in France, since episode 67 “Double Take” was aired on the 14th! However, France 3 accidently skipped the episode, passing directly on to episode 69 “Wreck Room”! In order to fix the blunder, Codelyoko.com put the episode online on August 30th. Afterwards, it was put online on Toowam (the children’s block on France 3) alongside the other first episodes of season 4! Yumi: You mean to tell me there’s actually a little news in the Kadic News this time? Odd: Don’t tell me you haven’t heard! Ulrich: You’re kidding. Haven’t you ever heard of the Subdigitals? Odd: Chris is their drummer. And he’ll be at Kadic today. Yumi: Hey, you guys, cool it. Sounds like a phony scoop. Jeremy: Yeah, it sure does. Just another one of Milly and Tamiya’s dumb stories. Aelita: Well, it could be for real. It seems that Chris is coming here to visit his uncle. Yumi: You mean that Chris has an uncle that works here? Aelita: I wonder who that could be. Jeremy: You too, Aelita? How could you believe that stuff? Yumi: If it’s true, who do you think his uncle really is? Ulrich: Fumet, Chardin, Mr. Delmas. Not Mr. Delmas. Sissi could never be Chris’ cousin. Aelita: If she was, she’d be shouting it out to anyone willing to listen to her. Odd: Huh? Michel Rouiller, the custodian? Right, well, in that case, why not Jim? Jim: Yeah, but wait a second. I also happen to like rock music, and I love the Subdigitals! Those guys are very talented artists. Especially my nephew. He’s really great. Jim: Hey, you all got the wrong guy! I don’t know any Chris! I never heard of the guy, you hear! Go away! Away, I say! Principal: My dear Chris, on behalf of the entire staff and student body of Kadic Academy, I would like to wish you a very warm welcome! Chris: Good morning, everyone, and thank you all for this enthusiasm. As I guess all of you know, I came here to visit my uncle. But there’s another reason as well. The Subdigitals have decided to do a school tour to discover new talent and to develop that talent by giving you guys a chance to be the opening act at our next concert! Chris: And thanks to the kind authorisation of your principal, we’ve organised an audition for this afternoon in your gymnasium! Odd: Glory and fame are just around the corner. I hope not too many kids show up. Ulrich (seeing the long line of students): Uh, you were saying? Jeremy (seeing Aelita’s CD): Oh no, c’mon, don’t tell me you’re gonna waste your time going to that audition. Imagine what XANA might be plotting on the network even while we’re talking. We’ve gotta find a way to travel there, and I was counting on you, Aelita. Aelita (pocketing her CD): Alright, I won’t go. Yumi: Odd, don’t worry. You’ll see. Your mix will blow everyone away. Ulrich: Yeah, as long as you don’t bust our eardrums. Odd: Hey, man, with friends like you who needs enemies? Thanks for your support, Ulrich. Chris: Thank you, uh, Matthias? Is that right? Sissi: Hello, I’m Sissi Delmas, the daughter of Jean-Pierre Delmas, the school principal. I’m gonna play my best track for you. It’s called “I’m Headed for the Stars”! Chris: Okay, Sissi, I hope it really takes off for you. Sissi: You won’t believe your ears, Chris. Chris (exasperated): Thank you, Sissi! Odd: Hey, Sissi, your stretch limo have a flat tire? Odd: Odd! Odd Della Robbia! And what you just heard is just a little taste of what I can do! I swear I’ve got lots of other tracks! You wanna hear them? Chris: Some other time maybe. Thanks a lot, uh, Odd. Odd: I was good, wasn’t I? Yumi: Well, you gave it your best shot. That’s the main thing. Ulrich: One thing’s for sure. You said it was different and you weren’t lying. Jim: Well now, kid. Have you found a future star? Chris: I’d rather not talk about it, uncle Jim. Chris: It’s not that simple. It’s all part of this promotional operation. If we don’t bring the record company some new talent, they’ll be down on me like a ton of bricks. They’ve already made us change our name. Jim: Don’t worry, my boy. There’s gotta be a youngster around here with a ton of talent. Chris (to the girls): Hold on! Quiet down! That’s fantastic. It’s what I’ve been looking for all day today! Tamiya: Chris finally found the opening act he was looking for. Odd: I knew it! Fame, fortune, and glory are all mine now! Milly: Forget about it. No one knows who it is. Not even Chris. Odd: What? But how can that be? I didn’t stop repeating my name! Tamiya: No, it happened after the auditions. All he did was hear the music. He didn’t see the DJ. Odd: I don’t believe it! Milly: He went to see the principal to see if he could find Miss Cinderella, whoever he or she is. Milly: Huh? What’s a matter with her? Odd: Well, when you gotta go, you gotta go, I guess. Yumi: You look like you’re in shock. Did Sissi say something intelligent for once? Tamiya: Chris just kidnapped Aelita. Milly: Yeah, we saw him pass by with Aelita on his shoulder. Chris: Well we happen to be in a hurry too. Are you the one who put this together? Odd: Well, yeah, no, it’s a friend of mine. Aelita. Chris: What’s her last name? Ulrich: What’s the difference? She’s in danger, and that’s why we’re in such a big hurry. Chris: What do you mean in danger? What’s this all about? Jim: Take us to her immediately! Unless you’d rather settle this in the principal’s office! Ulrich: Okay then. Come with us. But let me warn you about two things. Try to avoid asking any questions and get ready for a work-out. Jim: Works for me, Stern. There’s no work that I like better than working out. Yumi: You may be possessed by XANA, but you’re still a rookie on Lyoko, William! Yumi: Jeremy? Where’s that vehicle, huh? The old William was hard to get rid of, but this one is a lot worse. Chris (seeing his double): Who’s that guy over there? A stunt double or a clone? Chris: Yeah, well spectre or not, he’s not getting my autograph! Jim: Hey, hands off my nephew, pal. Now you’ll see what it’s like to mess with an old special forces agent! Chris: Hey, what’s going on around here? Ulrich: I told you not to ask any questions! Odd (speaking to the Krabs): Hey there, you little crab cakes. Did you miss us? Jeremy: How are you guys doing? We’ve got our hands full here, and if this keeps up, the Subdigitals are gonna need a new drummer. Odd: We’re doing our best, Einstein! Okay, let’s get down to business! Laser arrow! Jim: Belpois, I want an explanation right now! What is going on? And what in the world is all this equipment for? Jeremy: I would, but I’m getting tired of explaining it to you, Jim. ‘Cuz in 10 seconds, you won’t remember any of it anyway. Chris: Not so fast! First tell me who Aelita is. Jeremy: Return to the past now! Chris: Excuse me, I’m looking for Aelita Stones. Chris: I’m really glad to meet you, Aelita! I heard your demo and I think it’s really great! Can we go over to the gym? I’d love to hear it live! Aelita: I’d like to, but I’m not sure I can. Jeremy: Go on! It’s an offer you can’t refuse! Aelita (happy): Okay, then! Let’s go! Aelita: By the way, how did you get a hold of my demo? Chris: Oh, one of your friends gave it to me.